We use Macomo Dog Beds in the kennel and the dogs all love them. Click on the link and check them out! We highly recommend these DVDs by Bill Hillmann. 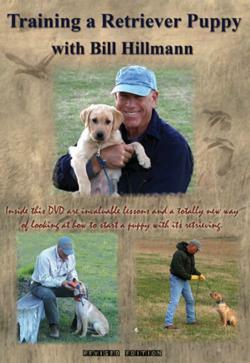 "Training a Retriever Puppy" – Revised Edition shows three different retriever puppies being trained in front of the camera. This video does NOT show dogs that are already trained. This is a training method dedicated to how you want your puppy to BE more than what you want your puppy to do. Emphasis is put on keeping your puppy in BALANCE. This beginning training will create habits and form a relationship that will be the foundation for any retrieving activities whether it's hunting ducks, chasing a tennis ball in your backyard, or going into competitive events. The most important part of the beginning stages of Labrador retriever puppy training is to develop a relationship with the puppy that will create a bond or a partnership. This will be based on respect and kindness. Click on the link above to find out more.